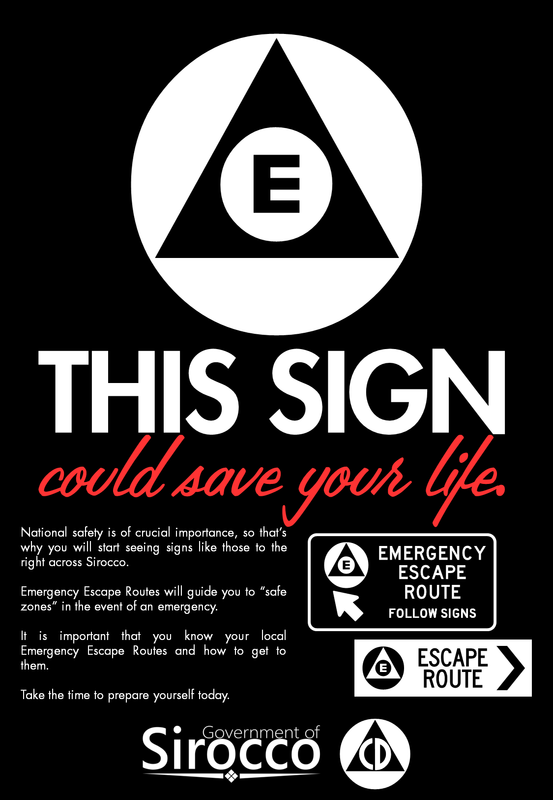 In this day and age, danger can come from anywhere. Floods, earthquakes, and the perpetual threat of atomic warfare. But fortunately, we do not face the danger unprepared. 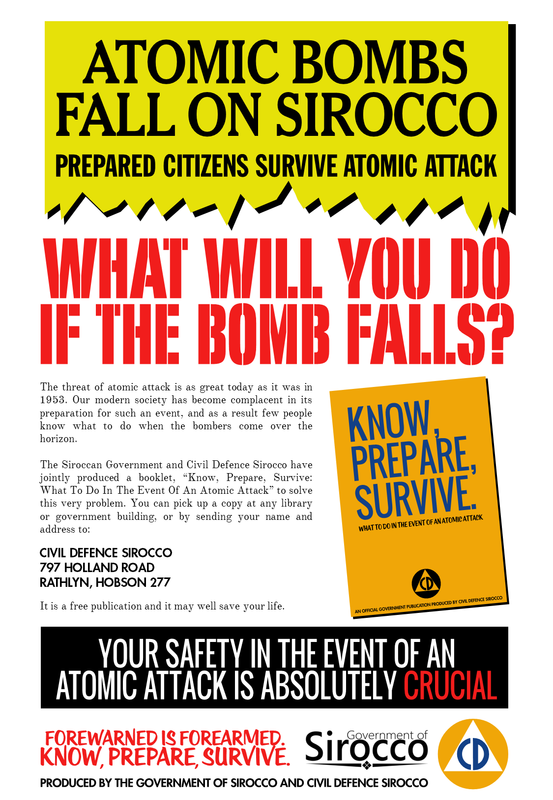 Sirocco's Department of Civil Defence is tasked with the critical task of preparing Sirocco for the threat of disaster. Civil Defence works closely with both central government and the provincial and territorial governments to best assess the dangers posed to the running of the country, and do what it takes to eliminate or mitigate threats. But in the event that it does happen, Civil Defence spearheads the response and recovery effort. Look out for Civil Defence facilities in your municipality - these may range from information centres to CD fallout shelters. Civil Defence information is also available at your local council library. IN AN EMERGENCY, TELEPHONE 001.